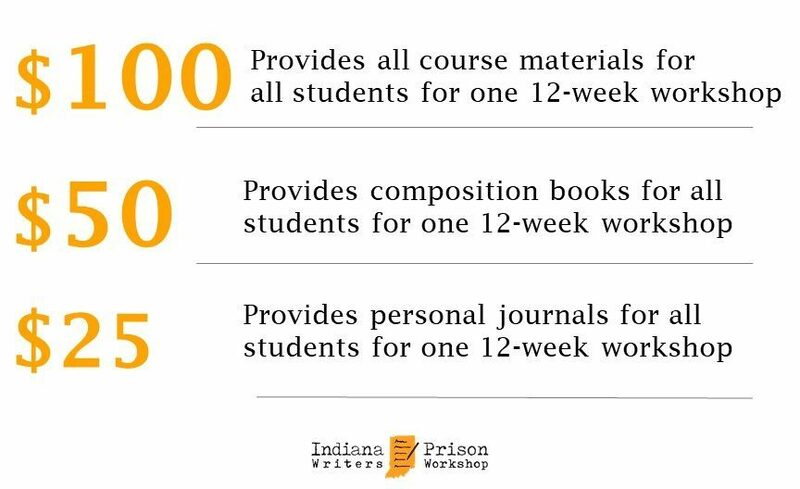 Thanks to an all volunteer staff, all donations to the Indiana Prison Writers Workshop benefit the incarcerated men and women the program serves. Your donation is tax deductible to the extent allowed by law. You will be provided with a receipt and letter of thanks from Indiana Prison Writers Workshop.